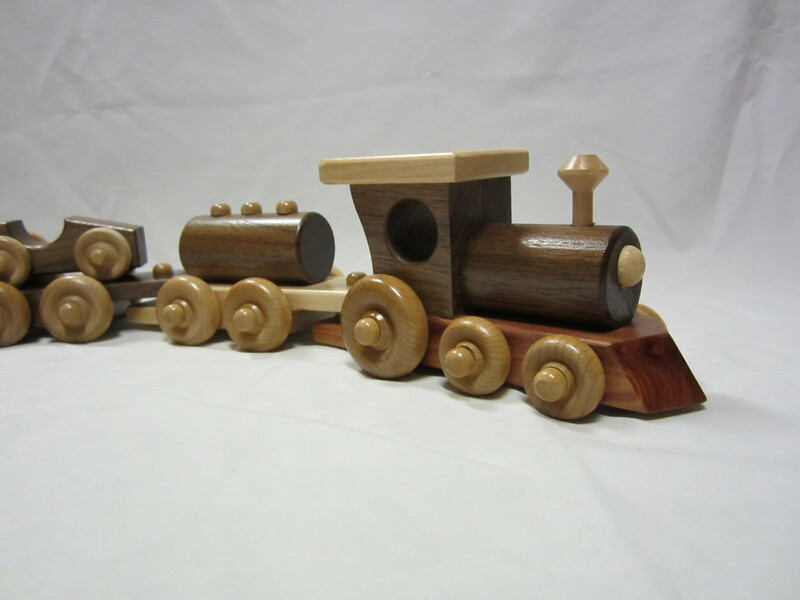 Toy Train set measures 23" in length with all 5 cars connected. Set consists of an Engine, Coal Car, Milk Car, Freight Car, & Caboose. Fully functioning wheels that roll. Makes a sturdy, lasting gift for that special toddler or adds charm to any nursery decor!